Banks decide the eligibility of loan for a person on the basis of credit score which is calculated on reasons which defy logic. For example, if a person has not applied for a loan before, his/her credit score would be less. A refreshing change to this problem is personal loan apps. 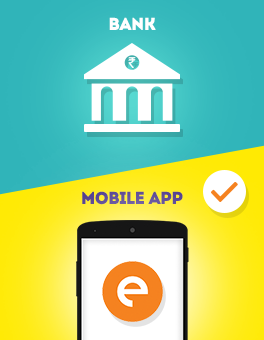 One such app is CASHe which uses social loan quotient to decide the eligibility for a personal loan. In simple words, the number of Facebook friends and interactions on social media will now decide the loan eligibility and other details like interest rates and loan amount. Time is precious and getting loans through personal loan apps saves a lot of time as compared to other conventional methods. 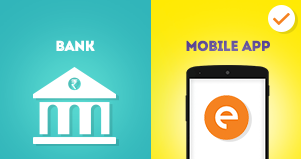 All one needs is a smart phone and a few clicks in order to get a personal loan. Interest rates charged by credit card companies is much higher than the interest rates charged by personal loan apps in India, especially if the Social Loan Quotient (SLQ) is good for a borrower. There is no paper work required for taking loans through personal loan app. The whole process can be completed under few minutes if one has some basic documents like Aadhar card, PAN card, latest salary slip, & last three months’ bank statement. IF the credit score calculated by banks is not good, it is extremely difficult for an individual to improve it. However, in case of Social Loan Quotient calculated by personal loan apps, one needs to just increase his/ her presence on social media and have a good digital footprint which is a relatively simple thing to do. So, these are the reasons why personal loan apps have eased our lives in today's stressful and complex world. One should make sure to apply for a loan online to take full advantage of such simple options available today.